When it comes to hurricane shutters, we know that our customers are on a sensitive timeline. This is why we make every effort to streamline the process and get your hurricane kit to your home in a timely fashion. Since each kit is unique to a specific property, it must be custom made. In the past such custom orders used to take months to complete, but with the latest manufacturing process, we are able to greatly decrease lead times. In fact, we've streamlined the process so much that often orders get sent in two parts: headers & footers with necessary hardware for the first shipment and then the panels in the second. This way, you can start the installation process as soon as the initial shipment arrives. Then, after the panels are received, you'll be set to complete the installation! We try to keep manufacturing consistent throughout the year however, during “Peak Times,” lead times can increase so please plan accordingly. Orders are inspected for quality and shipped from Odessa, FL to their final destination. Shipping time varies according to the carrier. 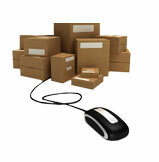 You will receive a tracking number shortly after departure of your shipment. In the event that a hurricane is forming and projected to hit land, whenever possible, orders in direct line of the hurricane will take priority. This order circumvention is done on rare occasions in an effort to assist those who are on a shorter timeline. For example, if a hurricane is heading up the east coast towards the Carolinas, a customer in Texas may have their order pushed back a day or two so that customers in the Carolinas can have their custom orders processed quicker. The safety first shipping policy is only designed to widen the window of opportunity, and doesn't imply expedited shipping or a guaranteed arrival date. DIYHurricaneSupply suggests ordering supplies preemptively, prior to projected activity and preferably as close to the beginning of the season as possible to get the most amount of protection and use. Safety First Shipping Policy is implemented according to NOAA's National Hurricane Center's projections.